Fantastika 2016 was and will remain a very special convention to me. 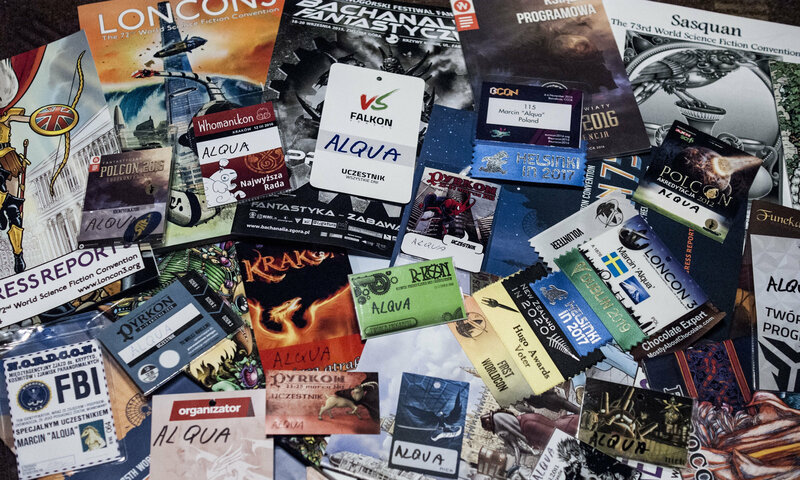 It was my first convention abroad other than Eurocon and Worldcon. It is also the first (and I certainly hope not the last) step to understand how the fandom works in different countries. Of course, I read about fandom in multiple countries, I looked for reviews and con reports, and I attended Eurocons, which usually gives you a grasp of the local fandom; and yet I still do believe that actually participating in a local event is what gives you a better understanding of the con-lore in a given country. I know that visiting one convention won’t give me a full picture, but one needs to start somewhere. 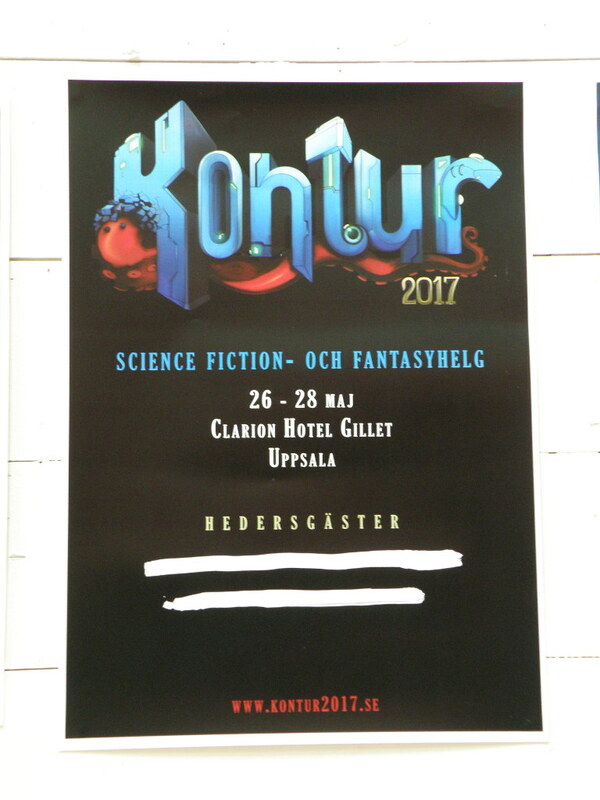 Fantastika 2016 was a Swedish national convention (Swecon) held between 17 and 19 June in Stockholm. If I had to use only one adjective to describe it, I would choose ‘great’ or ‘terrific’. Well, I have more space than that, so I’ll write some more about this topic. Firstly – when I decided that I wanted to attend a convention abroad, I had to make a decision where I would go. I checked on Ansible which cons are about to be held that year and I came across Swecon. It had many advantages – I really like Sweden very much, I know that Swedes in general can speak English, and it was going to be held in Stockholm which I really wanted to visit. Finally, I saw that a relatively large portion of the programme would be held in English. So it was a perfect combination of circumstances to start my adventure with fandom abroad. I paid for the membership and offered my help as both a gopher and a possible programme participant (both offers were accepted – yay! :D). So when the day has finally come, I ended my sightseeing tour of Stockholm and went to the Sickla district. 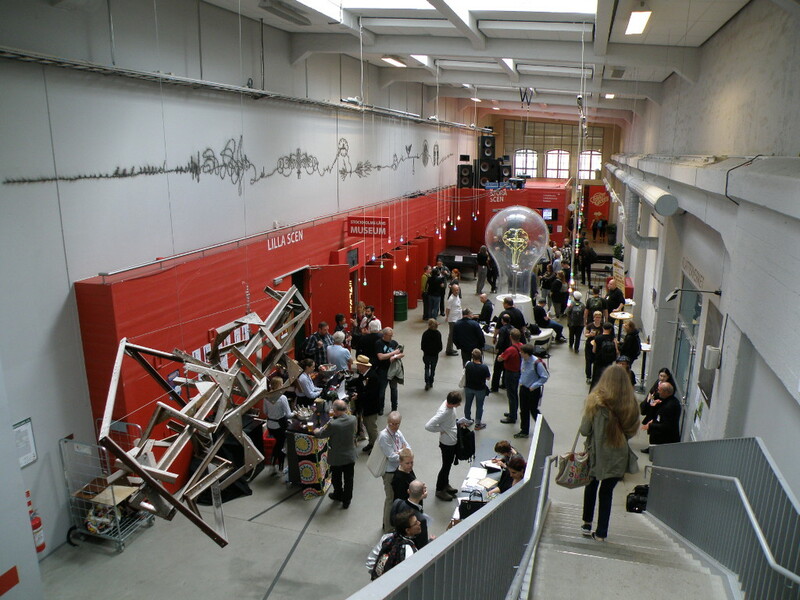 Thanks to help of one of the GoHs (Guest of Honour) – Jerry Määttä, I was able to find the convention venue (Dieselverkstaden) and I entered the con. The first thing that really surprised me was the fact that we were not alone in the building. The venue was quite big and the con was located only in one part of it. There seemed to be ‘work as usual’ in the rest of the building. If I understood things correctly, the venue is a local culture centre with a library, a museum and a nice café/restaurant). The second surprise was that it was quite calm – I am used to seeing everyone running around to finish the last preparations for the event just before the convention begins. Here people were quite calm (and there were not too many of them). 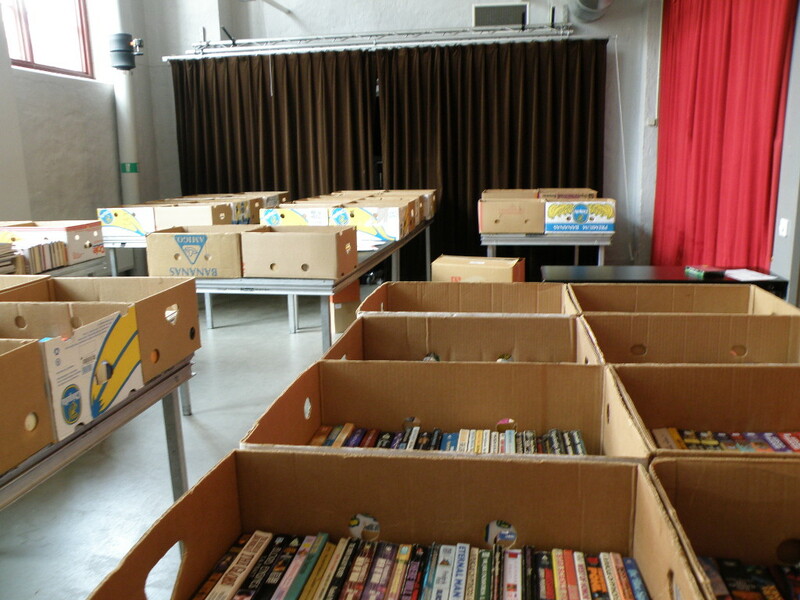 I offered my help and spent the first hour unpacking books. After the books were mostly unpacked, I was able to attend my first programme item – Opening ceremony. Opening and closing ceremonies may (or may not) be important. I hoped I would learn something there. 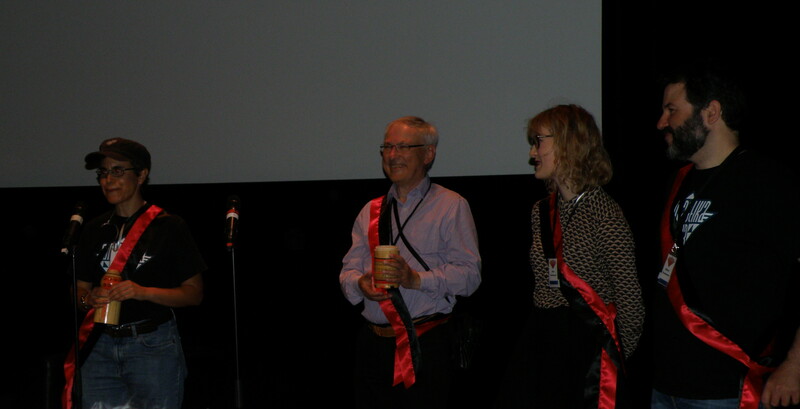 And I wasn’t wrong –the spirit of Swecon was released during the opening ceremony. The spirit spends most of the year in a wooden container and is being released only during the convention. I really liked the idea and I enjoyed the atmosphere of the convention, so it seems that the spirit was happy with what was prepared for fans. As for the closing ceremony, it was terrific. Choir Gléowine from the Tolkien Society Forodrim gave a great show. I don’t recall all of the songs they have performed but some of them, like Dragonborn from Skyrim, gave me goosebumps. I won’t describe the whole convention hour by hour, but I need to mention a few things. The first one is not related to Swecon itself but rather to Worldcon 75 in Helsinki. I was not able to participate in the staff weekend for W75, so Swecon was my first opportunity to meet the people with whom I’m working on this great project. It was really nice and it gave me a boost of energy. 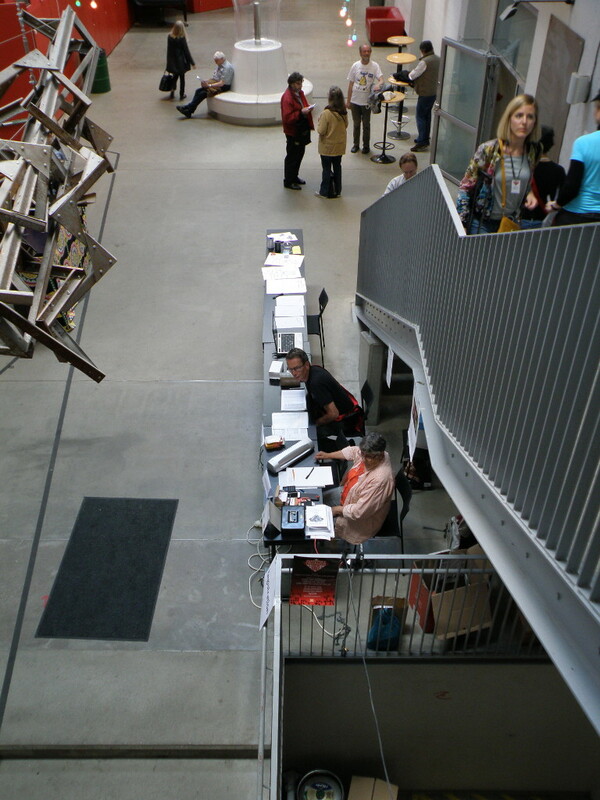 The programme was to include one programme event in English every hour. At certain times, there were more than one. I can’t judge how good the Swedish programme was, but the English section was really good. 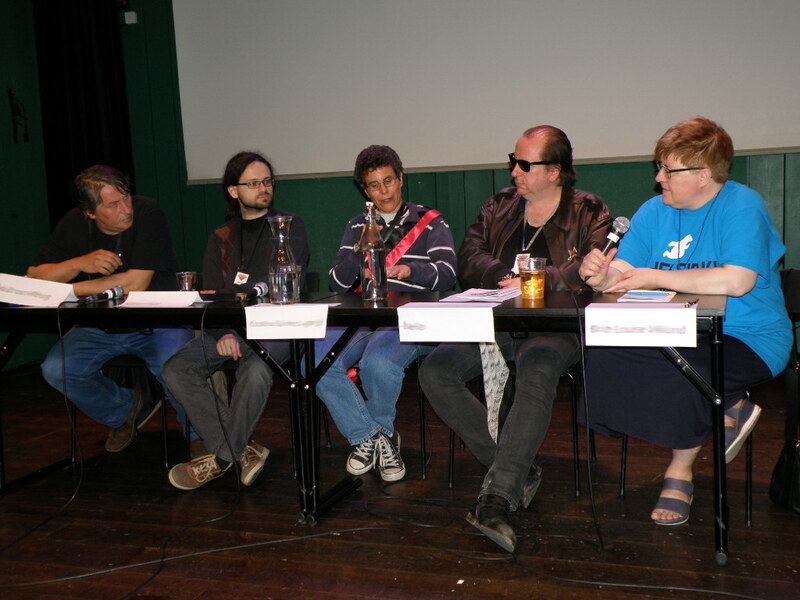 I immensely enjoyed the panel about feminist SF in 70’s and today. I’ve also learned a lot during a lecture about interstellar trade. Caroline Mullan’s speech about her times in fandom was interesting and gave me some insight into how fandom has changed over time. I could name more events that I enjoyed, but I think three is enough to show you that the programme was really good and diverse. As I already mentioned, I offered to participate in the programme myself. I was invited to the international fandom panel moderated by Britt-Louise. 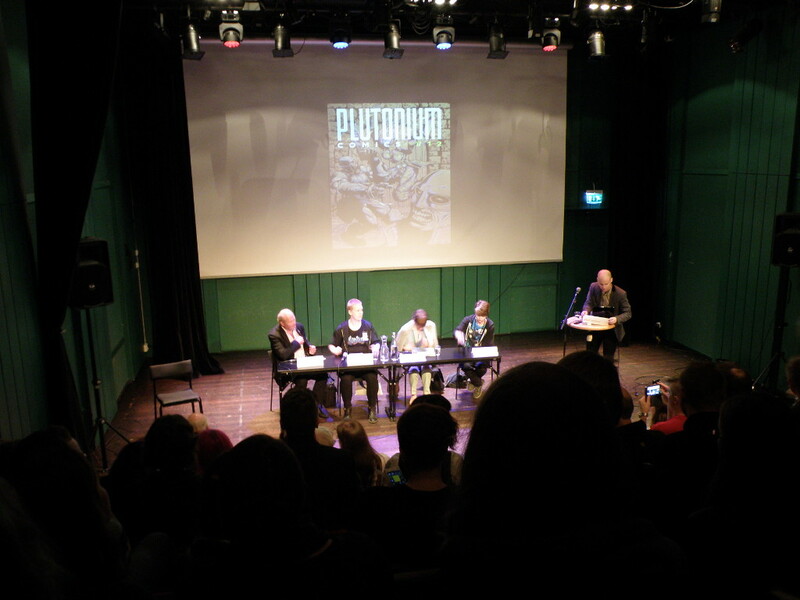 It was the first panel I have ever participated in outside Poland and I was a little bit stressed how it would go. It seems that it went well (at least from my perspective). Just after the event, I talked to some fans about Polish fandom so it looks like what I had to say was interesting to at least a part of the audience. But the true reason why I went to Swecon was not the programme, it was the people. I wanted to meet Swedish fans and understand their ways. Two situations were extremely pleasant for me – the first one took place during the filk circle on Saturday. When I entered the room, the participants offered to change the repertoire to English songs. Even though I said it wasn’t necessary, they did it anyway. And when the songs were in Swedish or when some discussion took place in Swedish, one of the fans sitting next to me would translate it for me, so I that could understand what is happening. I felt really welcome during the whole convention but this really took my heart. The second situation happened on Sunday when I complained to Britt-Louise that I wanted to attend one of the programme events, but unfortunately it was in Swedish; she asked which one it was and when I told her, she replied that I should have come and asked them to change the language to English and for sure they would do that. It was again a moment when I really felt awesome. Another very nice thing about Swecon is that it tends to attract a lot of foreigners. I met quite a few fans from Finland (and not all of them were Worldcon staff members). I also saw people from Norway and Denmark – I’m not sure how many of them were on Swecon, but there was a representation at least. Finally, the invited Guests of Honour were also representing different nations. If I had to compare Swecon to Polcon, I would have to say that the first one is much smaller. I knew this before attending the con, so it wasn’t a surprise. Still, it is a little puzzling, as there is a chain of bookstores in Sweden devoted to geeks and one would expect that this should visibly influence the number of people attending the con. 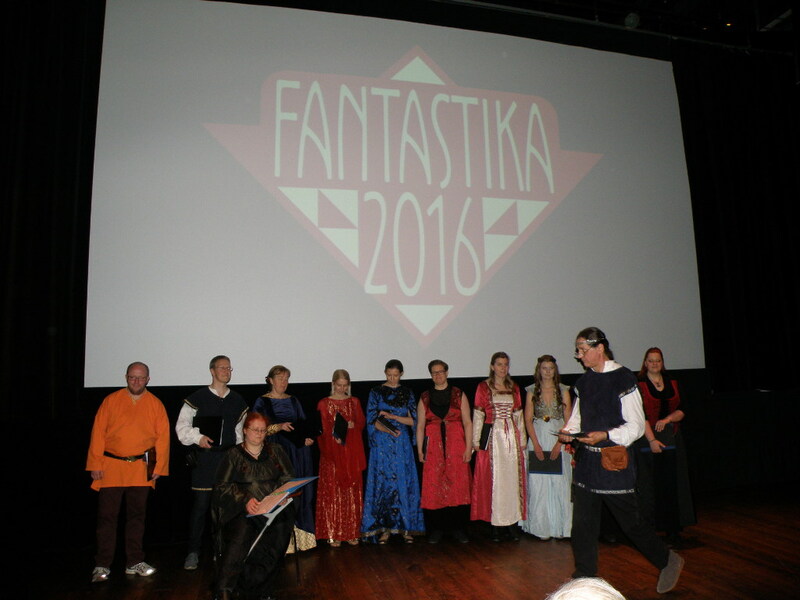 Still, despite being small, Fantastika 2016 was interesting and definitely worth attending. During Swecon 2016 I had multiple occasions to meet fans from Sweden (and other countries). Some of the conversations I attended were very short and some were longer. The longest held with Britt-Loise restrained me from attending two programme items. My general impression, confirmed by the situations mentioned above, was that the Swedish fandom is really open. I had a great time in Stockholm and I enjoyed the event so much that I really hope I will be able to attend one of the upcoming Swecons. Unfortunately, I will miss Swecon 2017 – Uppsala’s Kontur, this year. The next post will be published on March 26th and it will be a report from Conrunner 4.